For this hp got stopwatch running ? This phone is still super powerful and relevant. It can run every current app just as well as the icon and the 1520. It would be perfect and the greatest value out there if not for one major manufacturing defect: The charging port fails on every unit within a short period of time. I am on my 4th new unit and everyone else I know with the same phone has had theirs go as well. I now have the Qi back, which slips around like crazy, and obviates the need to keep replacing batteries from a separate charger. It also becomes impossible to interface the unit with a PC. This appears to be an intentional flaw instituted by Nokia in order to limit the lifespan of this phone, forcing owners to replace or upgrade. However, the phone is superior in every other respect. Thank you for sharing this Nice Upcoming smartphone on your site. Hello admin,pls i can download on my LUMIA 810 again any time i wanted to download it give me something like this(error code;80048264) and beside i can't remember my Microsoft password account again,i will be glad if admin can treat me well. I just received the phone from ebay. The first thing I did was update the phone to 8.1 with the developer preview. It took a couple of hours during the night to up date it threw the phone itself. After it finish updating the only one thing does not work with the update so far. I can not use mic headphones during a call or voice search. It is not a big deal for me because I rarely use my phone to make calls. I just have to switch to non mic headphones on the phone. It is just like what I do with my Nokia N95 backup. Other than that the update is a big improvement from windows phone 8. Also this phone is better that the new handset because of 1GB of ram on it compared to the 512MB on the new phones. This means I have access to all the apps in the windows phone store. Hi, I would like to ask whether the Nokia Lumia 810 Czech language. 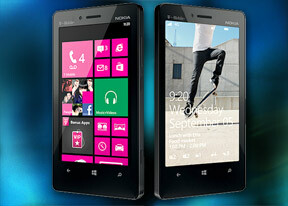 How can i get nokia lumia 810 in Tanzania plz anyone know! Its a xclnt phone, good in service, affordable to carry and awasome in use. Niki, 26 Dec 2013Unlocked means. Please any one tell me. Because i like this phone.you can use it in all GSM compannies and worldwide, deppends of the bands on the phone. Niki, 25 Dec 2013Unlocked means.Unlocked means. Please any one tell me. Because i like this phone. Total of 273 user reviews and opinions for Nokia Lumia 810.